My friend Sherry has been reminding me that I promised you my Rosemary Popcorn recipe, so here it is! My husband makes stove top popcorn almost EVERY night. Some nights we make it a little extra special by making Rosemary Popcorn. I hope you enjoy it! Heat olive oil in medium saucepan and place rosemary in the bottom. Let the rosemary stalk steep in the oil for around 5 minutes. 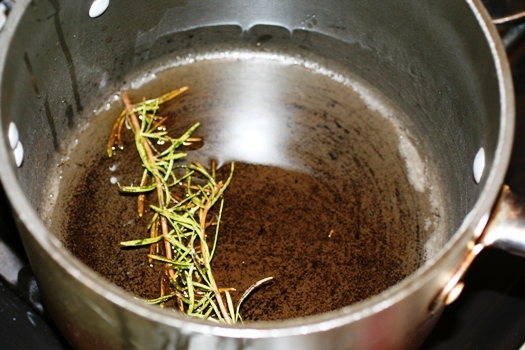 The rosemary will start to almost “fry” in the oil. You are infusing the oil with the rosemary flavor. 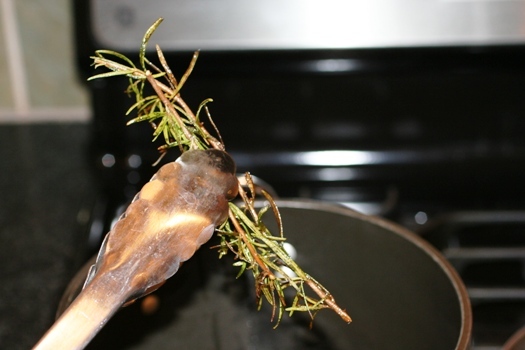 Remove the rosemary stem and discard. Pour half of the oil out into a ramekin to pour over popped popcorn later. In a heated pan, pour corn kernels, cover with lid. Watch carefully and once all kernels have popped, remove and transfer to a large serving bowl. Drizzle with rosemary oil and salt. Heat olive oil in medium saucepan and place rosemary in the bottom. Let the rosemary stalk steep in the oil for around 5 minutes. 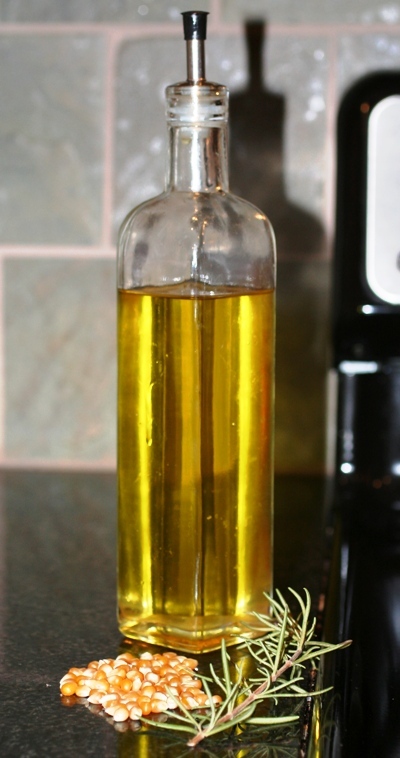 The rosemary will start to almost “fry” in the oil. You are infusing the oil with the rosemary flavor. Remove the rosemary stem and discard. Pour half of the oil out into a ramekin to pour over popped popcorn later. In a heated pan, pour corn kernels, cover with lid. 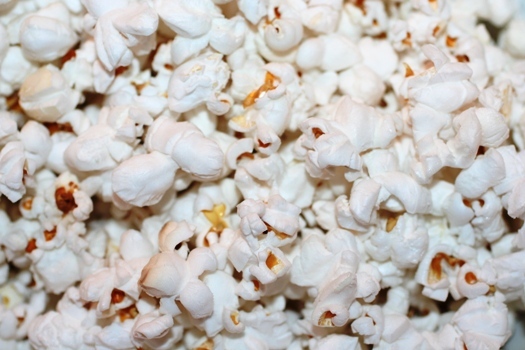 Watch carefully and once all kernels have popped, remove and transfer to a large serving bowl. Drizzle with rosemary oil and salt. This looks so delicious. I think I may try it tonight! 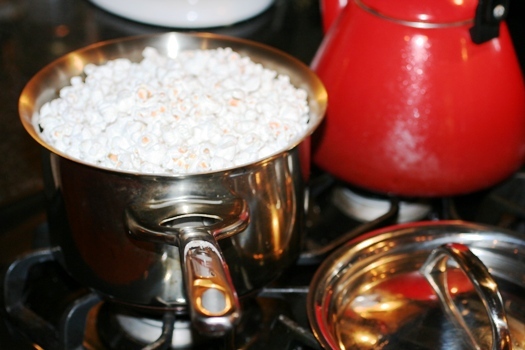 If your popcorn seems to turn out tough, try placing a paper towel or cloth towel on top of pan before popping. The towel asorbs the moisure for a crisper kernal.